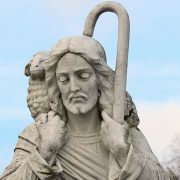 Jesus is the Good Shepherd, which means we are his sheep. But who wants to be sheep? Join Rev. Adam Ericksen as he explores with this ancient saying means for us today.